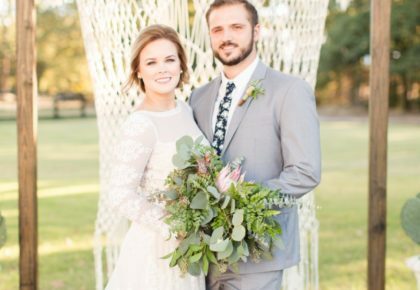 With a touch of southern charm, Shannon Rose Events turned this industrial location into the loveliest scene. 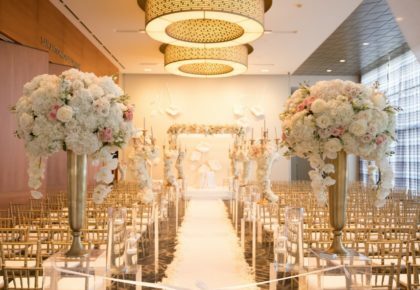 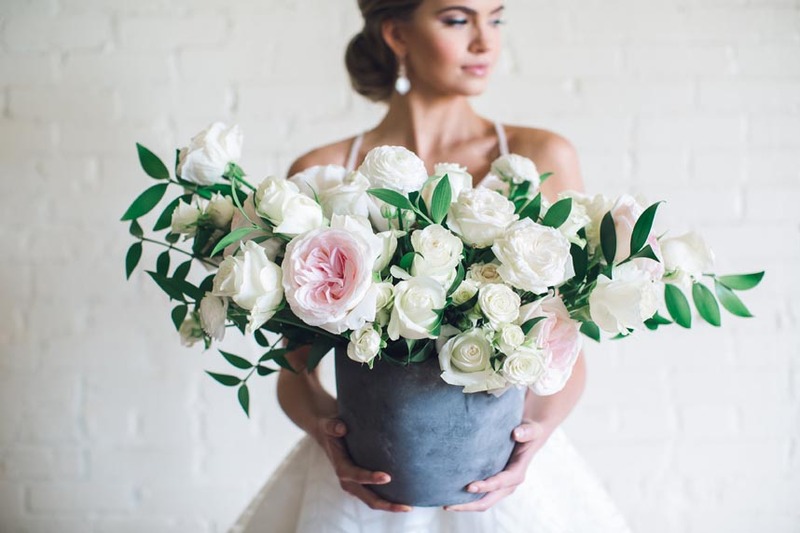 From her soft styling and flawless florals to every personal touch, Shannon Rose Events leaves us speechless with this tabletop design. 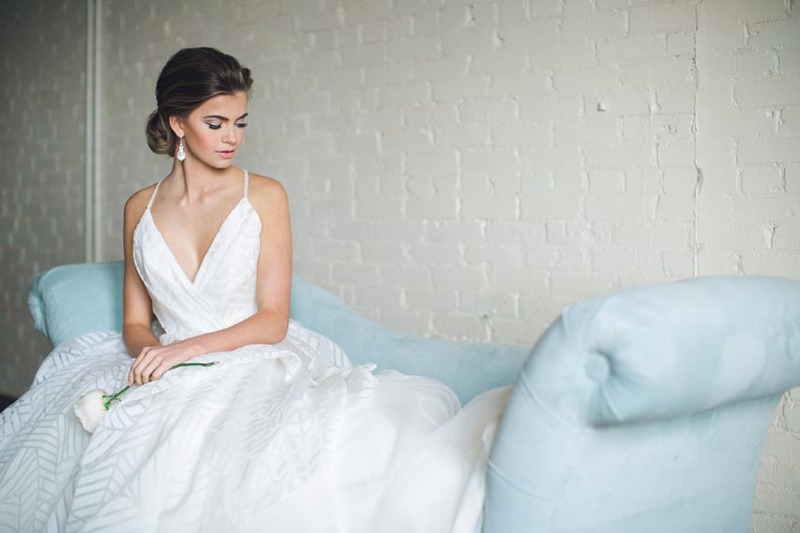 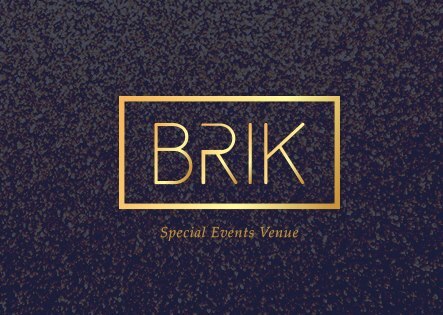 The clean, white walls and glowing natural light at BRIK Venue proved to be the ideal location for this shoot. 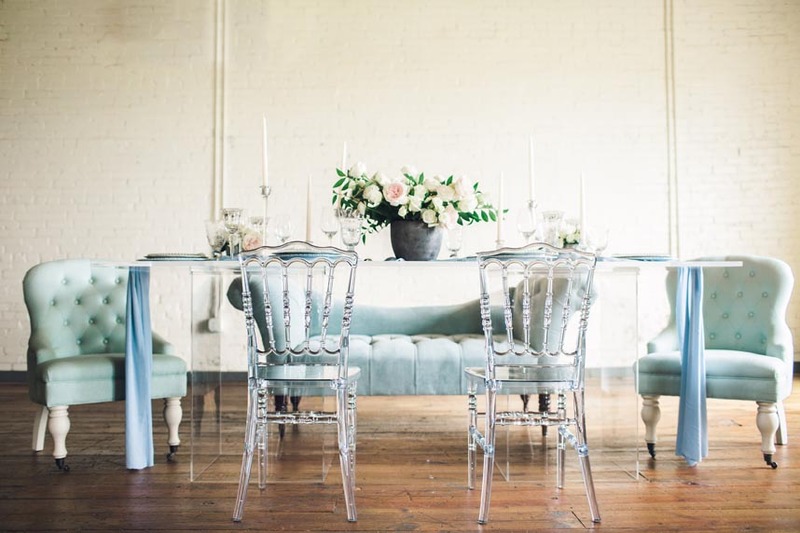 Propmaker Luxury Event Rentals brought in many gorgeous pieces, such as the table, side chairs and loveseat. 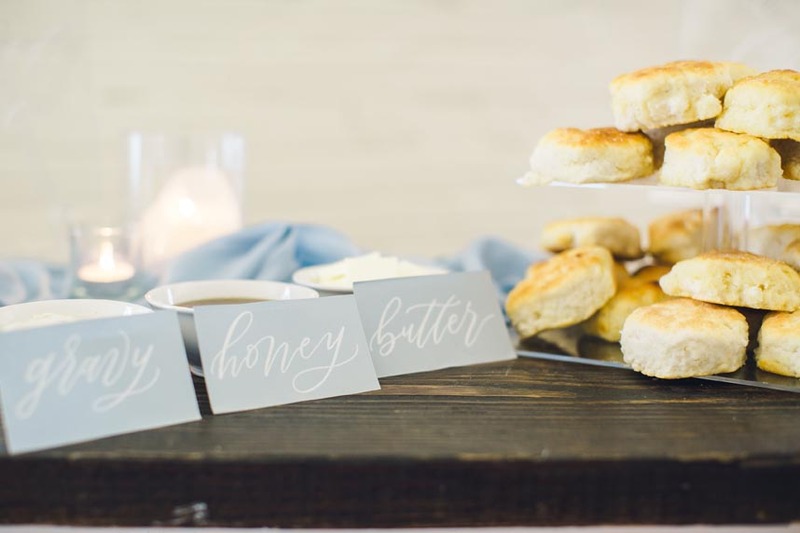 In addition, Beautiful Event Rentals provided the bar piece that nicely displayed the adorable biscuit bar. 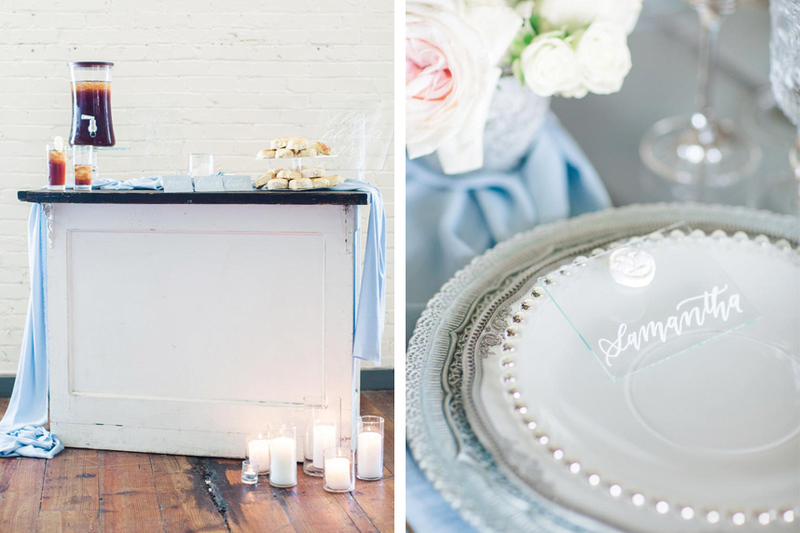 Stocked with all things to make any Southern gal happy, we adore this spin on a bar. 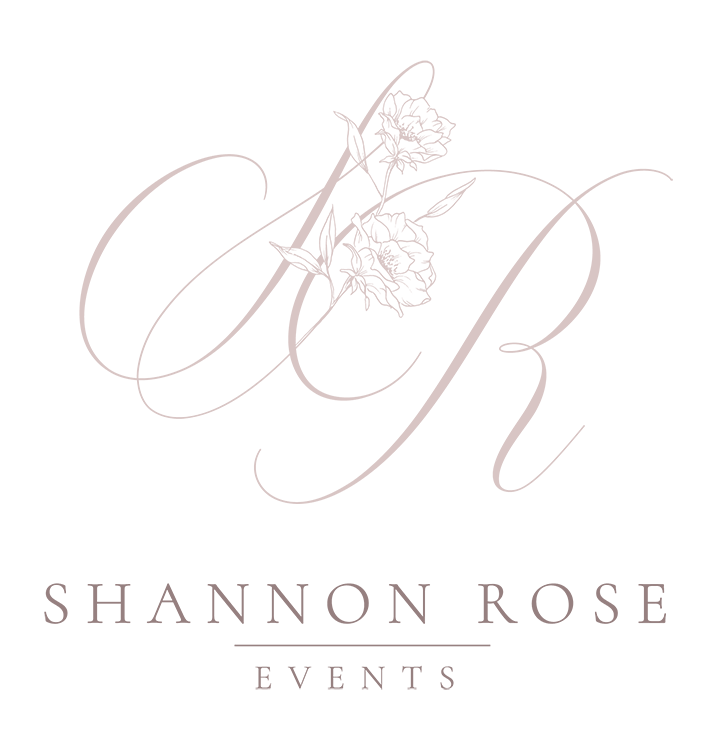 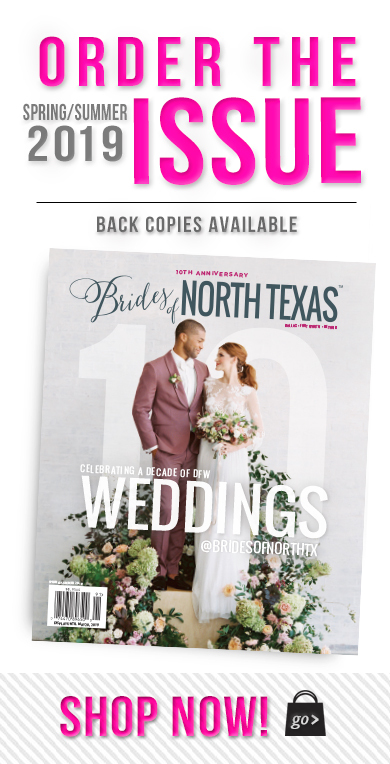 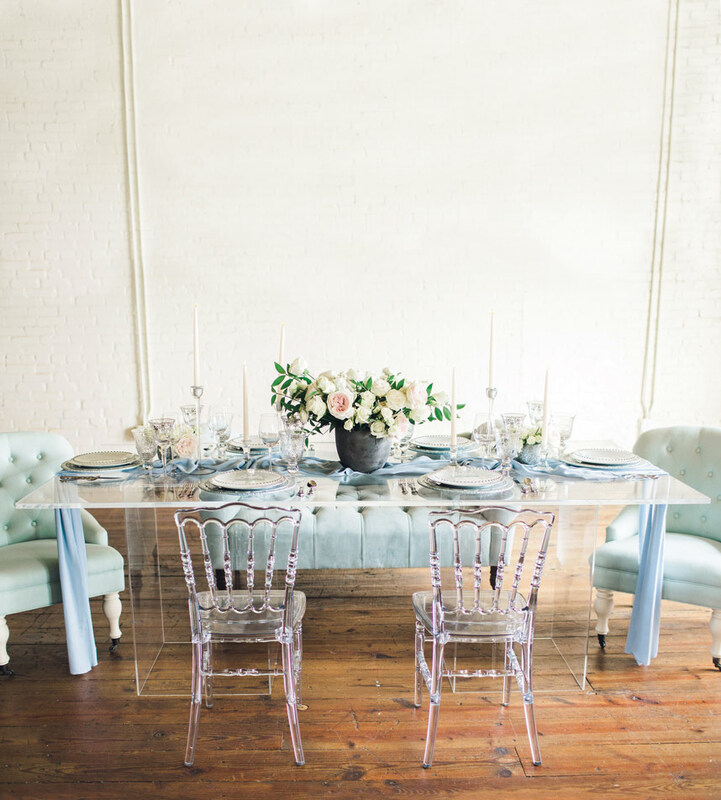 You’ll see more fabulous rentals on the tabletop from Posh Couture Rentals including the acrylic chairs, baby blue linens and classic dinnerware pieces. 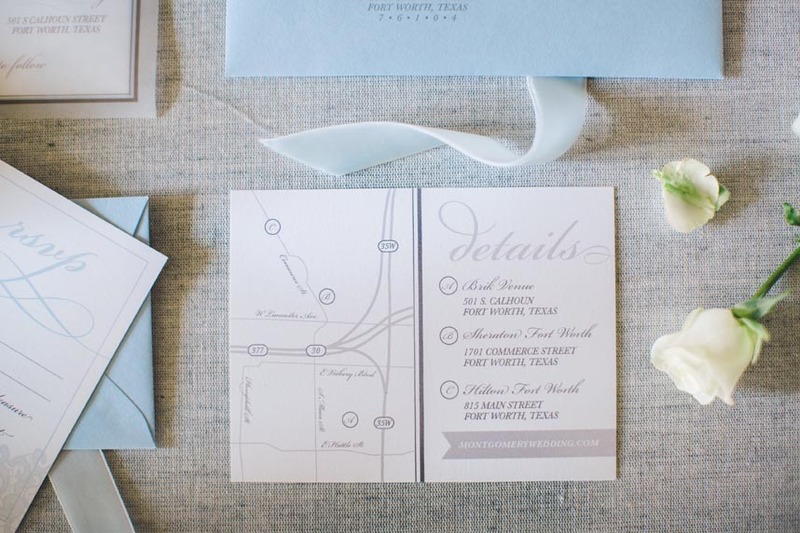 Felderhoff & Co. dazzled us with her invitation suite and menu perfectly complementing the design. 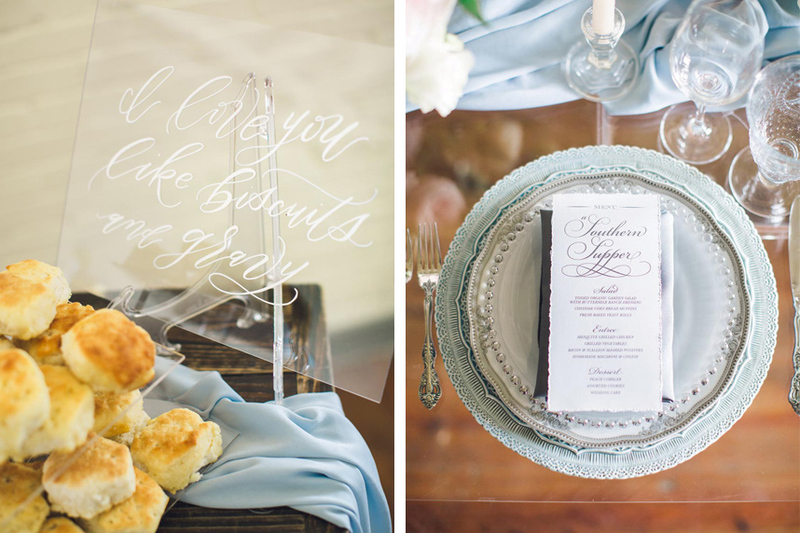 As for the sweet signage and place cards, Sarah Ann Design carried out the loveliness with calligraphy touches. 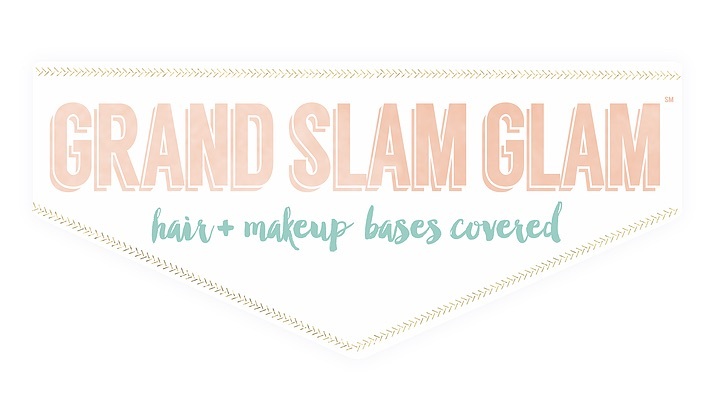 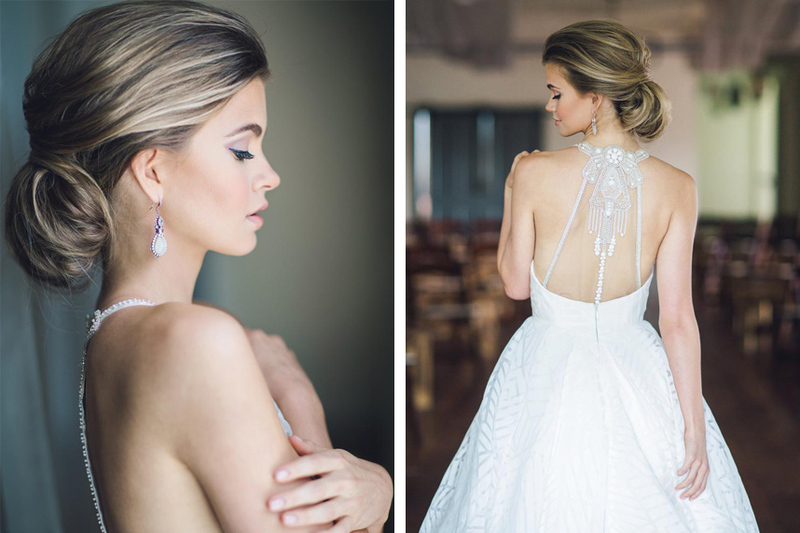 The model bride wore a magnificent gown from De Ma Fille, and Grand Slam Glam completed her ensemble with an absolutely striking beauty look. 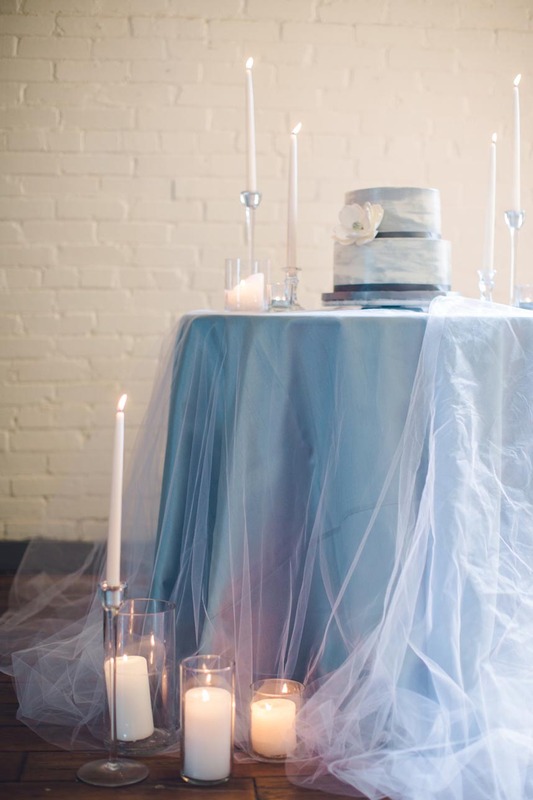 The beautiful cake from Hopeful Hearth Baking Company is a must see with its soft, hand-painted texture! 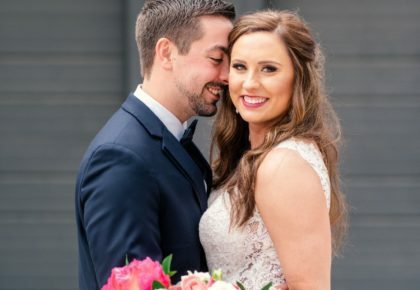 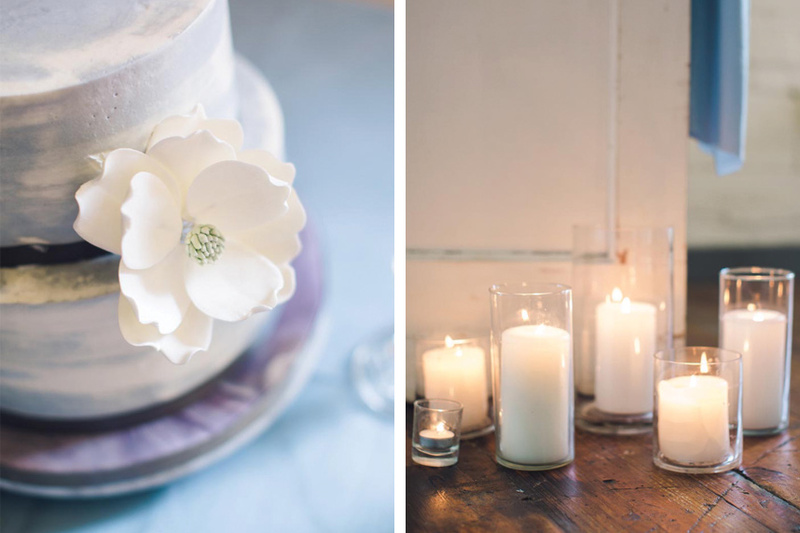 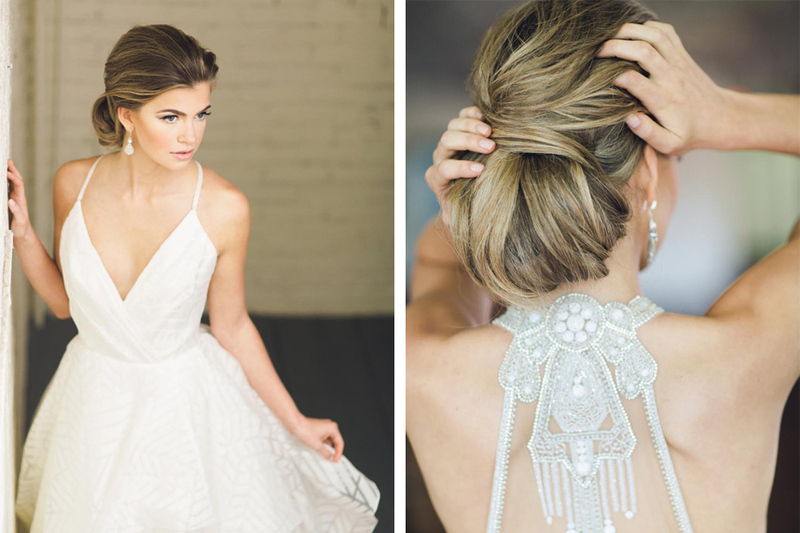 We are oh-so-thankful that Trisha Kay Photography was there to capture each element. 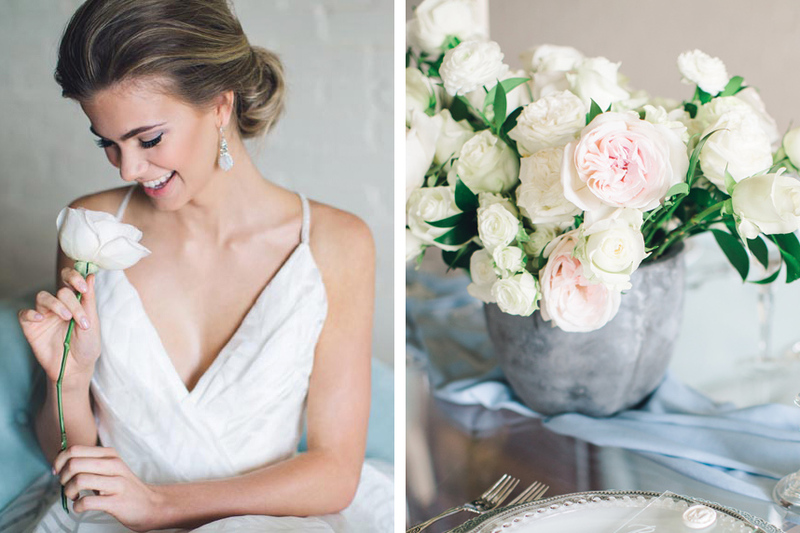 Full of Southern charm and darling details, this is a design after our own hearts. 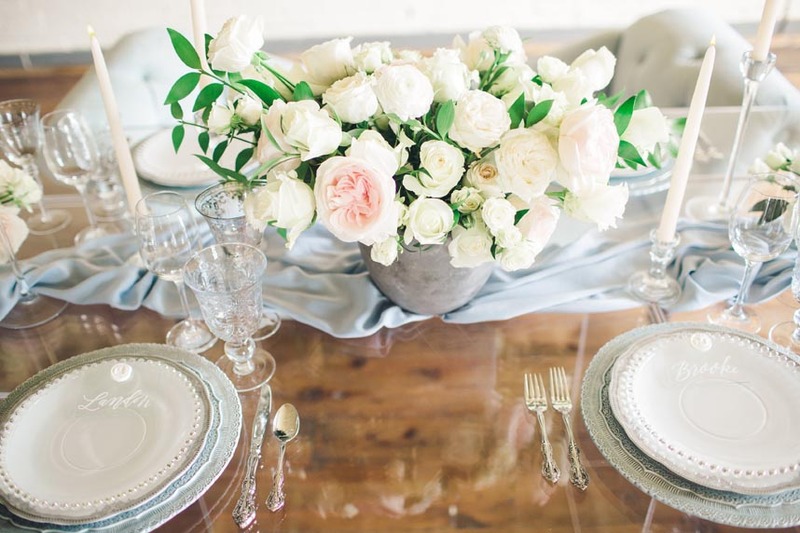 Grab a biscuit, raise your glass of sweet tea, and cheers to this dear design! 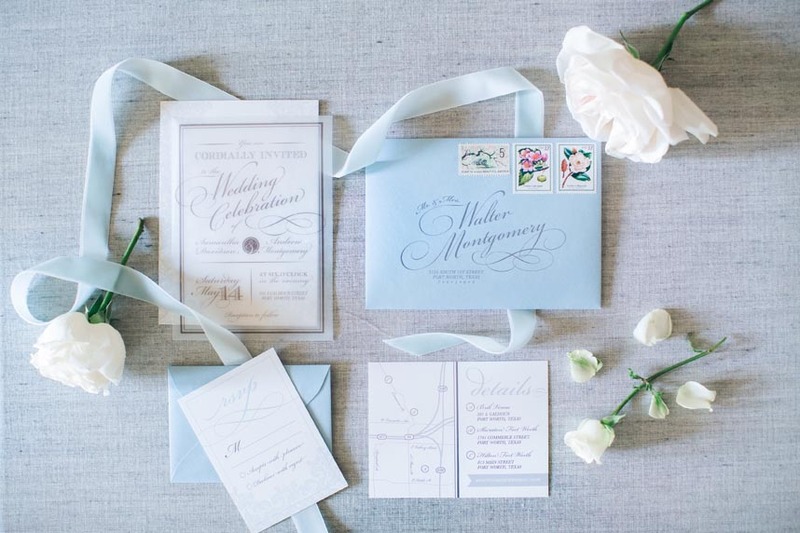 invitation suite + menu | Felderhoff & Co.